Here we go again, Save Jerseyans. If you were hoping to get your car washed today but plan on traveling any state roads this evening? Might want to hold off. 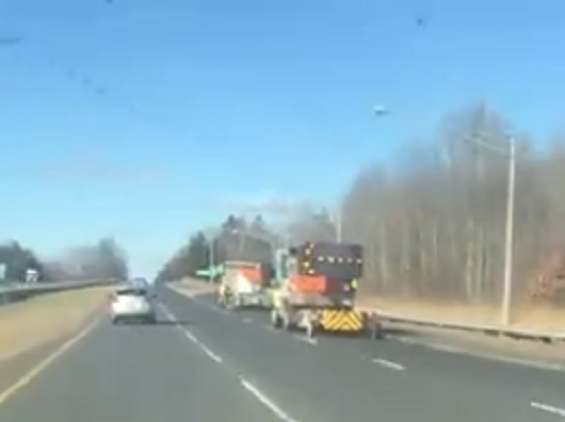 Phil Murphy’s Department of Transportation is once again brine-spraying roads today despite full sunshine, above-freezing temperatures, and no snow in the forecast. IMHO: @GovMurphy should foot the bill for ALL N.J. commuters' next car wash. I truly do not know. My car was covered in salt by the time I got home from work today. Murphy’s NJDOT has made a habit of wasting taxpayer dollars treating roads (for no apparent reason) for show after last month’s #snowmess when thousands were left stranded on highways for hours.